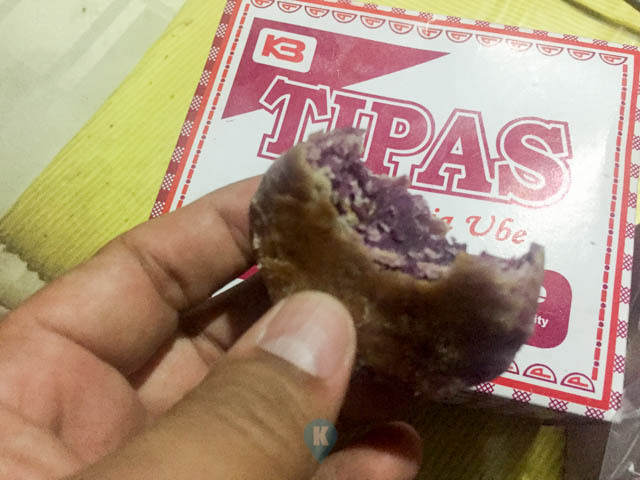 I'm so living under a rock that this writer didn't know how famous this Tipas Special Hopia Ube is. When a person gifted me with these, I thought they were just hopia. I don't mean to disrespect the gift but I do love hopia and that's simply it. Every time I passby Binondo, I always grab this from Salazar or Eng Bee Tin. Getting it from Taguig is a very much welcome thing for me. I like to try new things that's why we stated this Katooga thing. 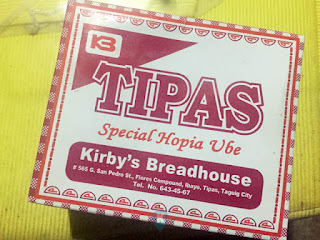 When I took a photo of the gift and uploaded to my family's group chat, I learned from my wife how famous this hopia is. That she was envious that she's in the UAE right now and here I am being gifted with this Tipas Special Hopia Ube. Honestly I don't know the brand because I don't see these in malls or shops or even bus terminals for that matter. Anyway, now I know they are famous, are they far more better than the ones I get from 7-11? After my first bite, yes. Do I have to add to it more? Yes is something I can live with. I will definitely go to their shop in Taguig and buy more so I can write more about them. 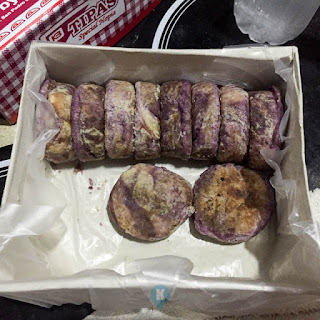 I tasted the Ube and their Monggo variants. I was told they have the pork one. Since this was a gift, its rude to ask how much it is when I was given this. I will definitely ask when I have a chance to talk to the person who gifted this to me. 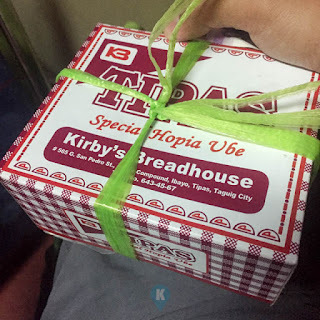 *as of this writing, another friend told me that this is being sold office to office by an ambulant vendor in Makati CBD for Php150 for a box of 20pcs. The first bite. Enough Said. I'm eating. Thanks for gifting this to me. You know who you are. See how fast this thing is eaten in our house.